Julia "Judy" Kay McPeters Greenway, age 70, of Nebo, North Carolina, passed away on the night of Sunday, September 30, 2018 at St. Joseph Campus of Mission Hospital in Asheville. A native of Mitchell County, North Carolina, born December 24, 1947, she was the daughter of the late G.E. and Virginia Boone McPeters. In addition to her parents, she was preceded in death by one sister, Joan McPeters; one brother, Mike McPeters; and a special brother-in-law, Junior Smith. Judy, who was a member of Relay for Life, enjoyed making jewelry. She loved spending time with her grandchildren and attended Sunny Grove Baptist Church in Nebo. 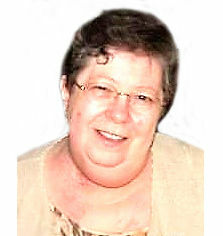 She is survived by her husband, Joe Greenway; two sons, Jarrett Greenway and Jason Greenway (Daniela Matus); one sister, Norma M. Smith; one brother, Doug McPeters; and four grandchildren, Jaxon Greenway, Joshua Greenway, Hayden Greenway and Ava Greenway. A memorial service will be held on Wednesday, October 3, 2018 at 3:00 p.m. in the Chapel of Beam Funeral Service with Rev. Doug McPeters officiating. The family will receive friends from 2:00 p.m. until 3:00 p.m., prior to the service, at the funeral home. Beam Funeral Service & Crematory is assisting the Greenway family. For further information and/or to sign the online guestbook, please visit our website, www.beamfuneralservice.com, or call (828) 559-8111.